School's out for summer! With the end of another school year approaching, it’s time to set your eyes on summer vacation. But before we say hello to sandy shores and campfires, it’s time to consider giving back to those teachers who have worked hard and dedicated their time to the growth of your little ones’ minds. It’s important to show your teachers that you appreciate everything that they are doing! Giving a personalized gift lets the receiver know you truly care about them, and consider them personally when choosing the unique gift. 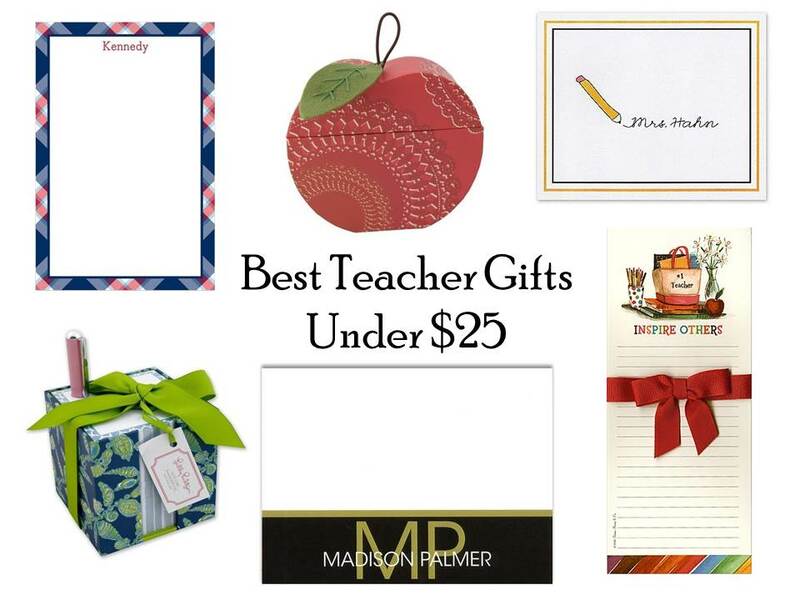 Teachers are constantly using different craft supplies, office supplies, and teaching tools to write notes, assignments, and present to the class. With that in mind, we’ve rounded up some of the best gifts on FineStationery.com that are all under $25! Need more options? See more ideas on FineStationery.com!